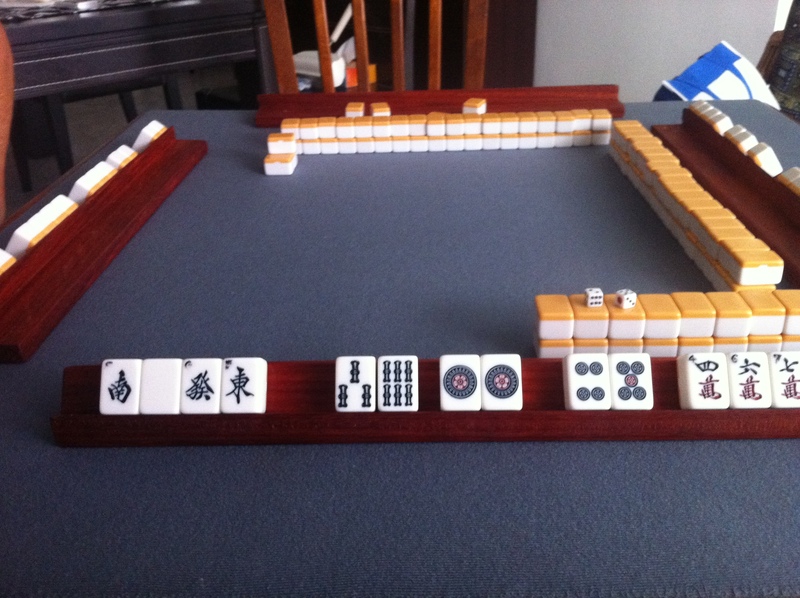 I've taken up a new hobby, as one tends to do when they have nothing else to do, and that is the game 'Mahjong.' 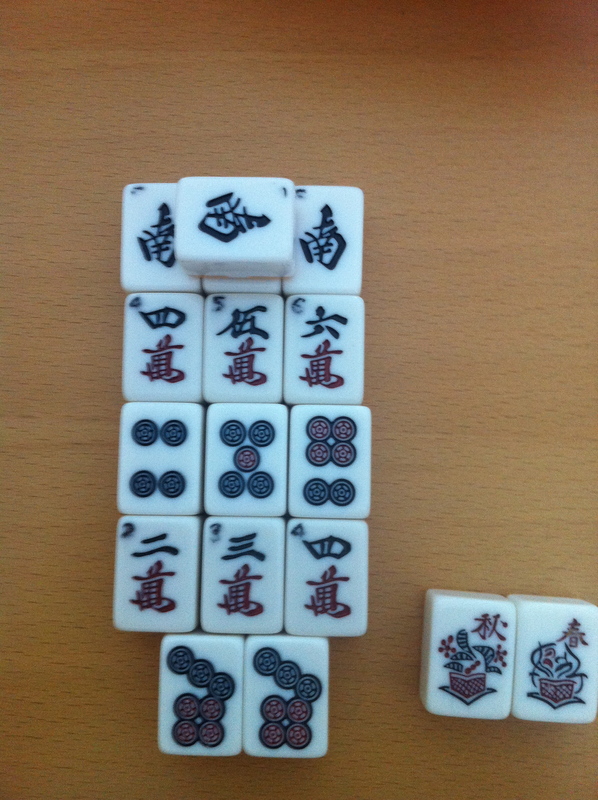 It's a Chinese game that could be compared to rummy except it's played with tiles instead of cards. I've heard that it's fairly addictive and many of people have gambled away their savings and worldly possessions but don't worry, we don't even play for points let alone money. The dealing is the most complicated part of the game. Without going into great detail, everyone begins with 13 tiles except the dice roller, who has 14 and discards first to get the game going. We move through, drawing and discarding in the hopes of putting our tiles into groups of 3. You aim for 3 of a kind (called a pong) or a run (chow) and one pair. We have a regular group that gets together Tuesday morning (we've started Thursday mornings now too - I guess it really is addictive) and we begin with tea and snacks before we get serious. We'll often get 8-10 games in before we must go for lunch. It is quite fun and I find myself looking forward to Tuesday. We've even discussed a game night where we'll stick the men in one room to play poker and we'll do mahjong - I know, we're pretty wild.